Create high-quality videos your audience will love with your mobile device. Sometimes it can feel like the camera on your smartphone has got a mind of its own. The automatic settings are great for taking photos, but not always ideal for shooting video. By disabling auto mode and using the camera’s manual settings, you’ll have complete control over the video you record. Disable auto mode and experiment with the manual exposure, white balance, and focus settings on your camera. Adjust the depth of focus and exposure manually to produce a sharp, clear image. Lock both the exposure and focus to avoid the camera changing brightness and sharpness during your shoot. Hold your camera horizontally to shoot in 16:9 high definition. Use the phone‘s rear camera which often records in a higher resolution. Cameras on mobile devices typically need lots of light. And good lighting helps keep viewers engaged and interested in your video. You’ll want to consider the limitations of the camera on your mobile device and then arrange your lighting setup to create the effect you’re going for. Soft, even lighting will help your camera’s image sensor maintain detail in the brightest and darkest parts of the image. On sunny days, try shooting in the shade to avoid bright sun and dark shadows. When filming at home, you can capture natural light by setting your camera up near a window. Bounce light onto your subject with a white card or a reflector. Use light to create different moods in your video. Learn more. 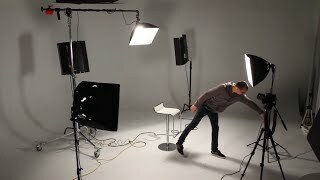 Filmmaking gurus Corridor Digital explain unique methods of lighting for your mobile to draw more attention to your subject! Learn the fundamentals of lighting a subject then apply it to your mobile phone shoot! It’s important that audiences can watch your video and understand what the characters are saying. Good sound quality can also cut time in post-production, so it’ll help to get it right on the day of your shoot. Here’s a list of things you can do to help record great sound when shooting with your phone. Try placing your subject as close to the microphone as you can. Think through your shooting locations so that your subject can enter or move around within a shot without creating extra noise, which can be distracting. 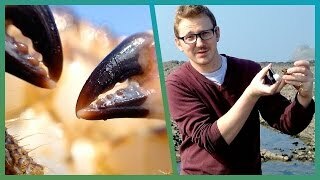 Consider using an external microphone to improve your sound quality when filming in a loud environment. Locate your phone’s microphone so you don’t cover it when shooting. Learn more about good sound. Phones are small! Which means you can get shots you may never be able to achieve with a bulkier DSLR or camcorder. Having advanced computers inside of them also means you’re not just limited to production on your phone—you can edit and upload videos from them too. Take exciting shots! A selfie stick will allow you to film yourself when walking around, while a gorilla pod can give you the freedom to attach your phone anywhere. Experiment with different looks for your video by using clip-on macro or fisheye lenses available for your phone. You can go live on your mobile device with the click of a button. Just hit the video icon in the YouTube app and you're good to go. When you're done recording, you can add a title, description, music and even filters. Try setting your camera in unusual locations to achieve unique shots. BBC Earth Unplugged captures incredible images with a phone by using traditional equipment. 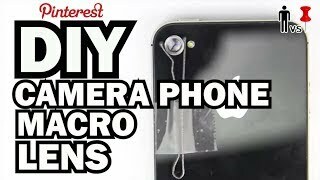 ThreadBanger shows an ingenious method of creating your own macro lens for your phone.